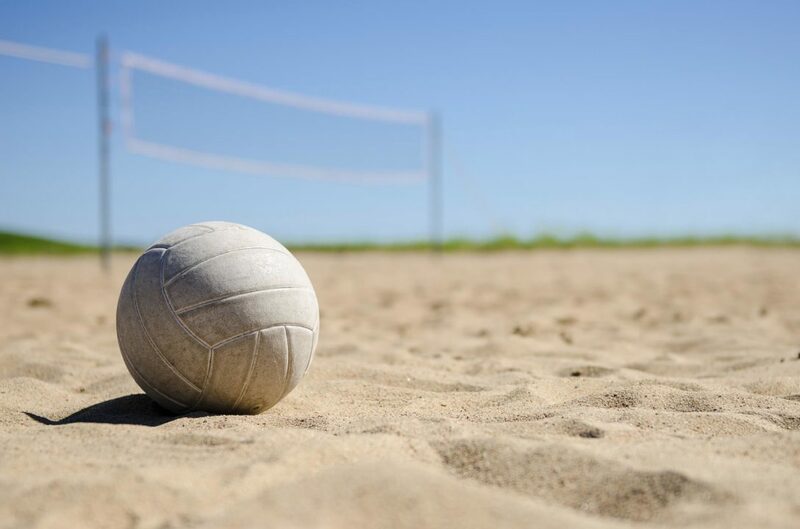 Athletes ages 12-18 from the United States and other countries competed in three days of matches in the USA Beach High Performance Championships. The age-group tournaments are part os USA Volleyball’s Path to the Podium program, which attempts to identify, evaluate and develop talent at the player, coach, and officials level. London Wijay and Sofia Williams beat Malyssa /Cawa 2-0 (22-20, 21-14). Best of the beach format with Dominic Shtylla coming out on top. Gala Trubint and Kelly Belardi beat Jordan Boulware and Katie Miller 2-0 (21-10, 21-11). Marcello Souza and Mick Bakos beat Gavin Blanchette and Thomas Hurst 2-0 (21-11, 21-13). Delaynie Maple and Meg Kraft beat Olivia Bako and Peri Brennan 2-1 (21-12, 24-26, 15-11). Both Maple and Kraft have verbally committed to the University of Southern California for beach volleyball. Grant Strong and Kyle Johnson defeated Adam Hartmann and John Ziska 2-1 (21-14, 18-21, 16-14). Stanford-bound twins Audrey and Nicole Nourse beat Devon Newberry and Lindsey Sparks 2-1 (21-19, 17-21, 16-14). Newberry and Sparks recently finished fourth at the FIVB U19 World Championships and in October will compete at the Youth Olympic Games. Tim Brewster and John Schwengel defeated Dane Johnson and Brett Sheward 2-1 (21-14, 21-11). Brewster and Schwengel were part of the Junior National Team that competed at the FIVB U19 World Championships. At Manhattan Beach, they got a big semifinal win over Puerto Rico’s William Rivera and Randall Santiago, who had beaten Brewster and Schwengel in the qualifier for the Youth Olympics. Both players are going to college and hope to continue playing beach volleyball. Unfortunately, beach volleyball is not an NCAA-sanctioned sport for men.